This year marks a tipping point in Cloud history: for the first time, more than half of all businesses will be using hybrid IT models. As organizations make the switch in services from in-house builds to outsourced services, IT departments and business units must understand and adapt to the necessary changes. Hybrid IT can present something of an identity crisis for employees who are not prepared for the shift before new service models are implemented. The switch can be made smoothly and successfully with careful planning and leadership, but companies must recognize that changing the structure of IT services means altering the job tasks and processes to which employees are accustomed. 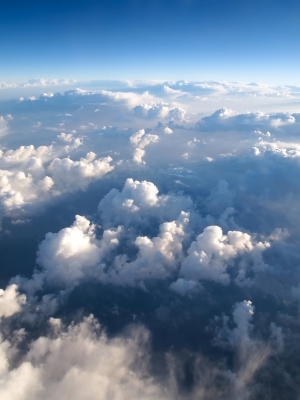 Developers must emphasize or learn principles of Cloud applications. Operations must manage a supply chain that includes external vendors. Risk-management teams must learn Cloud-specific areas of risk. Legal staff must oversee Cloud-specific contracts. Finance has to learn a new set of usage-based expenses. With many areas affected by Cloud adoption, IT and business leaders must take charge in ushering in the cultural shift. Employees need to be taught or updated about Cloud technologies, the Cloud services business model, and industry-specific concerns. Also, the value of Cloud must be clearly communicated. Benefits to address include, among others, efficient deployment and faster reactions to changes in the market and industry. Businesses need employees to be on-board for a successful move to hybrid IT. When facing change, some employees may feel a drop in morale, so it’s the responsibility of leadership to influence their organizations to energetically embrace Cloud solutions. Of course, CIOs and business leaders must be more than just cheerleaders. IT organizations can benefit from training sessions and seminars on Cloud systems and other educational efforts to ensure that employees are confident in their positions while using new tools. Managing expectations and empowering employees play an important part of IT leadership during this move. Creating a roadmap for the new business-IT-provider relationship. Addressing how the company will assess providers and communicate with them. Establishing protocol and processes for assessing risk and cost-benefit analysis for new providers. Managing the Cloud supply chain flow across business and IT units. Shifting thinking to address the pay-as-you-go nature of Cloud services. Developing benchmarks for efficiency and performance. Ultimately, the hybrid IT environment will prove itself to be beneficial. There’s no doubt that it will boost efficiency while enabling employees to succeed—even when job roles change. The changes can feel more or less drastic depending on the existing corporate culture, so IT leaders need to plan their efforts in managing the process.